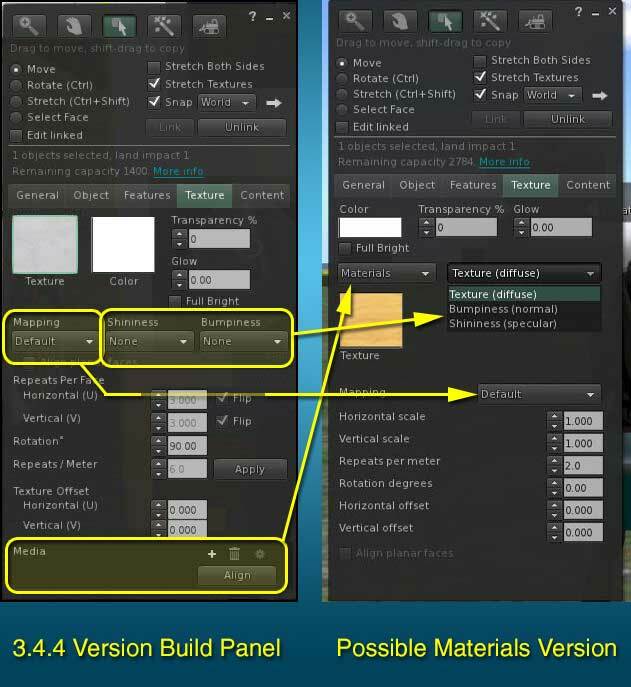 In Late January I posted about the Materials System and gave an example of what the Build Panel might look like. See: Second Life Materials System 2013-4. As it turns out this example is pretty accurate. Back in August 2012 I was explaining what Normal and Specular Maps do. See: Second Life Materials System Announced. Inara Pey has a nice tutorial on making and using the new features in Second Life™. See: Playing with materials processing in SL. Her tutorial features using GIMP. For Photoshop users there is an nVidia plug-in that comes with your video card drivers. If you have updated to a recent version (currently 314.22), you have the plug-in. According to nVidia the last update of this plug-in was for compatibility in June 2012. So, if you have installed the plug-in after that date there is no need to update. My understanding is the plug-in works in both Photoshop and GIMP and any other image editors that uses Photoshop plug-ins. You can find the list of nVidia plug-ins available at: NVIDIA Texture Tools for Adobe Photoshop. The download link is small and near the top of the white part of the page. You will hopefully notice that they come in 32 and 64-bit versions. The download is an install program. They will install to Photoshop CS3, 4, 5, 5.5, and 6. The install installs the manuals for the plug-ins too. Since this is an install program, getting it to work with GIMP is a problem. Fortunately there is an open source solution. See: gimp-normalmap to get a plug-in for GIMP. To get more details on making Normal maps with GIMP check out: Normal Map Creation in The GIMP. There’s something I’m a bit unsure of regarding the materials viewer’s texture tab in the builder floater. The current build allows us to choose between four levels of shininess (none, low, medium and high), while the bumpiness menu has a range of options, of which I only use two (brightness and darkness). When materials processing “comes to town”, how will we be able to determine how shiny a texture will be? And there’s something I’m wondering w.r.t. the differences between normal maps and darkness/brightness-based bumpiness (the latter, I must say, doesn’t always give good results). 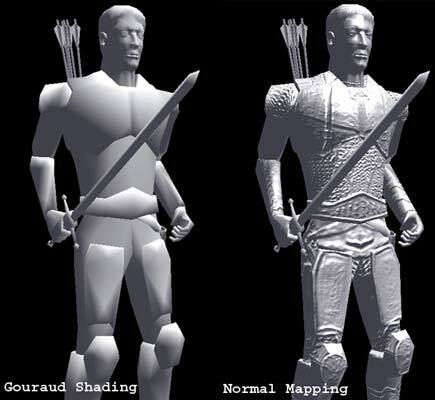 The difference between Normal and Bump maps is explained on the net. Exactly how SL handled Bump maps is not clear to me. But, it seems it is all changing to Normal maps but with legacy support for bump maps. I am guessing providing a new Normal Map will push the object into a new pipe in the render engine. So, there may be no consistency between the two. I think the same is true of Shiny. If we use the settings we get the old render process for shiny. If we include a specular map we get the new process, pipe. There is also some type of environment mapping thing they are working on as part of the process. I haven’t heard where that is for a time. Nor do I see how to get it to work in this version of the viewer.